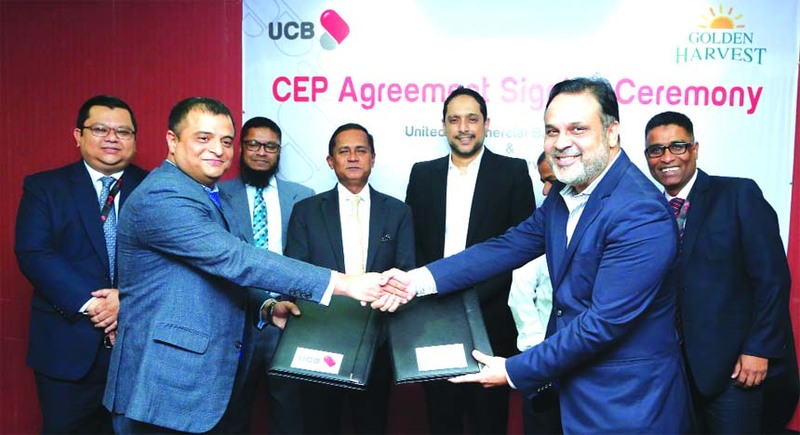 Print News | Sajib Kumar Basak, EVP of United Commercial Bank Limited (UCBL) and Samad Chowdhury, Director of Golden Harvest Group, exchanging an agreement signing document at the Banks head office in the city recently. Under the deal, employees of Golden Harvest Group will enjoy Corporate Executive Package solutions from the Bank. Mohammed Shawkat Jamil, Managing Director of the Bank and Rajeeb Samdani, Managing Director of Golden Harvest Group were also present.